Hoping to get some serious R&R this Memorial Day Weekend? Well, apparently this puppy got a jump start. 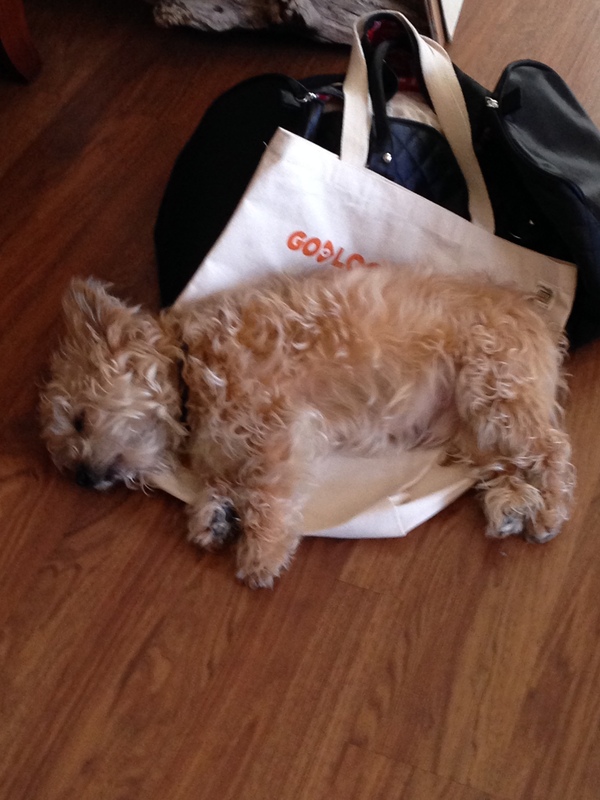 While we know our bags are super durable, responsibly made and great for shopping, napping on them is something new! Thanks to Nicole Ashley of Burlock Interiors in Beacon NY who shared this picture of her best friend snoozing. It made me smile. I met Nicole at the SVI – Social Venture Institute Conference in Beacon NY. She’s doing very interesting things with end lots of fabric for pillows and other designed goods. Check out what she has to offer.